If you’re a “referral-based” practice, you don’t need the Internet. Right? Using your website to get more new patients is an underutilized method of marketing, particularly for those who rely primarily on referrals. 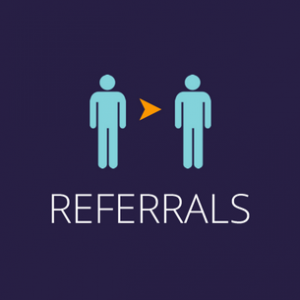 Serving your patients with the best possible care isn’t the only way to get referrals. While it’s obviously important, there are digital opportunities you can pursue to increase referrals. Below you’ll learn five digital strategies to get more patients for your referral-based practice. More than 50 percent of people say they feel more valued as a patient if they are communicated to digitally. Your practice website is the hub of all your online marketing efforts. Social media, blogging, email marketing, etc. – every digital strategy leads back to your website. Before the Internet, the only thing a potential new patient could depend upon were the enthusiastic words from a friend. But Google has changed all that. Today, even the most positive referral will prompt a request to visit your website to “see for themselves” if you are to be trusted. Believe it or not, a referral’s first impression of your website could make or break the referral. Regardless of the recommendation. Social media can be very useful in spreading word-of-mouth about your practice. Recommendations from friends and family are the most trusted source of referrals. 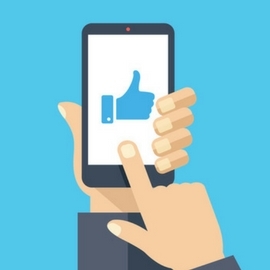 Facebook, Twitter, and other social platforms are opportunities to give these recommendations to a much larger audience. Before social media, patients would have to pick up the phone and call a friend to tell them about you. Or, they’d have to run into someone they know at the exact time that person was in need of chiropractic care. Of course, to stimulate the “referral mindset” of your patients, you have to be social. Posting interesting, relevant content on a consistent basis keeps patients engaged with your practice. John hurt his back moving furniture last week and he has been in pain ever since. John’s wife posts something about the issue on Facebook and her friend Susie (who happens to be one of your happy patients) sees the post. Susie comments on the post talking about how great her chiropractor is. You post an engaging photo with a fun fact about chiropractic. Mary, one of your patients, comments on your post. When she comments, several of her friends see a notification in their news feeds. One of Mary’s friends, Jennifer, has been looking for a chiropractor and she clicks on your Facebook page. But our research shows that a social media post alone is not enough to prompt an initial appointment. Prospects go to your website before booking an appointment. Loyal patients who return often are your greatest referrers. So how do you increase the loyalty of your patients? Patient retention isn’t just about providing quality care. It’s also about building relationships. Now, calling each of your patients on the phone every month would be impractical. But email is an effective way to reinforce patient relationships. Sending a monthly newsletter to your patient email list can help promote top-of-mind awareness. Just be sure not to be too salesy. Providing valuable education in your newsletters will remind patients that you are a healthcare source that should be referred to their friends. Supply relevant content that is easily forwarded to a friend to help the referral process. In addition to newsletters, you can send personalized emails to patients throughout the year. Send a birthday greeting. Wish your patients a Happy New Year. Introduce a new staff member. Some online marketing providers offer email automation software that will actually automate these campaigns for you. 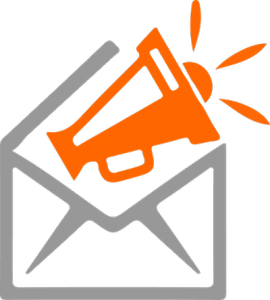 Statistic: Email marketing is 20 times less expensive than direct mail. Publishing blogs on a consistent basis shows your expertise and increases your authority in the chiropractic arena. It not only reminds existing patients of your continued value, it shows referrals who come to your site that you are the real deal. Blog posts are also useful for sharing on social media, as they provide interesting content for readers to digest and associate with your practice. Seasonal illnesses, new medical research, tips on natural health – sharing your thoughts on these topics can lead to repeat office visits and more patient referrals. Download our eBook “Blogging for Beginners” to learn more. Building strong patient relationships is all about giving. Coaching patients with online patient education is a great way to give back. It’s a way for patients to educate themselves on the many benefits of chiropractic. The more educated patients are, the more often they will talk about chiropractic. The more they talk about chiropractic, the better chance they’ll talk about you. If your patients discuss their knowledge of chiropractic, they might convert new patients on your behalf as the sharing that stems from learning can often lead to a referral. No single chiropractic marketing strategy will spark a massive increase in referrals. 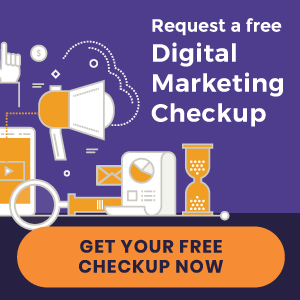 But an integrated approach that combines several marketing tactics, with your website as the hub, can help grow your patient base in multitudes.